There can be little doubt that Mike Tramp has one of the most distinctive (and best) voices in rock. On 1st March he released his latest solo album, “Stray From The Flock”, through Mighty Music. 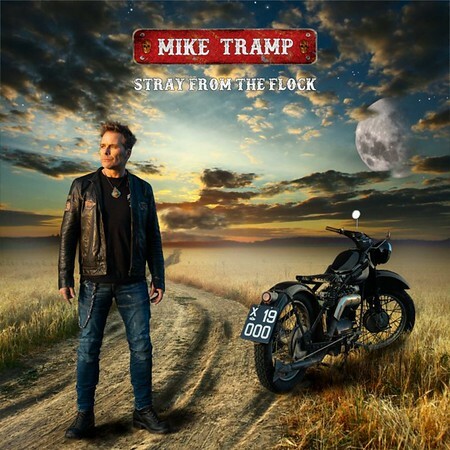 Mike Tramp is a singer-songwriter extraordinaire and what you get on “Stray From The Flock” is ten tracks that reflect him and his passion for music. Mike will be touring in support of the album and plays The Diamond Rock Club in Ahoghill on 20th April. The first single “Dead End Ride” was included on the Friday NI Rocks Show on 25th January and “You Ain’t Free Anymore” was on the Show on 1st March. Mike Tramp of course rose to fame with White Lion in the 80’s but if you’re thinking of checking out the album in expectation of hearing White Lion, you haven’t been listening to the solo albums that he has been releasing for the past twenty years! After White Lion disbanded in 1992, Mike Tramp went on to form Freak of Nature, but in 1997 he released his first solo album “Capricorn”. He then took a break from recording before returning with three new solo albums between 2002-04. There followed a tour as Mike Tramp’s White Lion and the release of a new White Lion album called “Return of the Pride” in 2008. Since then he has focused on his solo career, releasing a further six albums prior to “Stray From The Flock”. Mike Tramp provides the vocals, electric and acoustic guitars with Claus Langeskov playing bass and keyboards and supplying backing vocals, Kenni Andy providing drums and percussion and Morten Buchholz playing organ and piano. There are additional guitar contributions from Henrik Berger, Marcus Nand, Oliver Steffensen, Soren Andersen and Kenny Korade and additional backing vocals from Emily Garriock Langeskov.